Then the lineup begins with an intricate composition that I learnt from Ustad Shahid Parvez Khan. 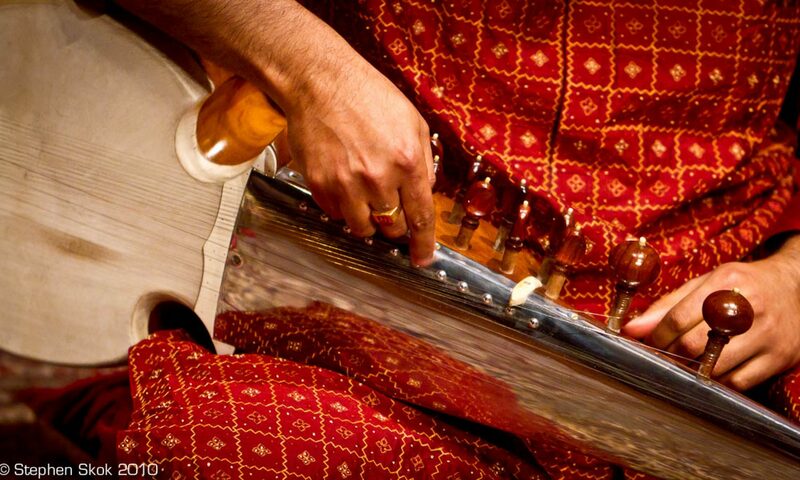 What is different about this composition is the rhythmic phrasings and long taans, not commonly heard on the sarod. Then two masterpieces by the greatest musicians of the last century: Ustads Bade Ghulam Ali Khan and Amir Khan Sahab. In particular, as I went back to Ud Amir Khan Sahab’s original rendition of the Bageshri, it really had a profound effect on me in terms of his notes and tone. He managed to say so much in a few notes… we mere mortals can never hope to accomplish that. I now know what Pt Nikhil Banerjee felt when he first heard the legendary Ustad… please read the article here…. Then a self composition that I’m working on.